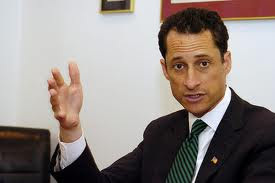 Something rather distressing has happened to New York representative Anthony Weiner aside from inheriting a ridiculously unfortunate surname: A low-resolution picture of a man’s crotch found its way into his Twitter feed and appeared to be directed at one of his followers named Gennette Cordova, a young woman residing in Seattle. The picture featured a man clad in a grey pair of boxer-briefs which sport a noticeable “protrusion” in his “business district.” The post was immediately deleted by Weiner (bless his little heart) before he announced that his account had been hacked. The alleged recipient, Miss Cordova, quickly deleted all of her social networking accounts and released a written statement claiming that while she was a fan of the Congressman’s, she had never met him or participated in any direct correspondence of any kind. Representative Weiner has retained an attorney and announced that he is exploring his legal options. While the picture itself contains no identifiable details, unlike the recent craigslist pic that brought down another New York Congressman, many have pointed to the official’s history of womanizing as evidence of his guilt. To be fair, he was considered one of congresses most eligible bachelors (not exactly a tough crown to hold onto) until his 2009 wedding to Hillary Clinton’s aide. It appears he will now be competing for a more hotly contested crown: congress’s most eligible husbands. “The Package” – while obviously functional, what I saw in the picture would probably not require any additional postage. While this makes it unlikely he would publicly claim said parcel, it also means a picture of it is unlikely to impress a woman he has never met. The fact that his name is Weiner also seems to make the photo seem almost too perfect, but by the same token one would expect a hacker to have posted something more vulgar. The Timing – If he was not the one who posted the picture then why was he so quick to announce it as a hack and delete his other Twitter photos? Doesn’t this prove he was near the phone and immediately realized his mistake? This would seem rather incriminating if Representative Weiner was not among those who feel it necessary to inundate cyberspace with his every waking thought. He posted twenty-five separate Tweets in the twenty-four hours before the incident so it is plausible that he really is that obsessed with social networking. The Girl – While she was a self-proclaimed “Weiner fan,” so far it appears almost impossible that they had ever met in person and unlikely that they carried on an online relationship. You would also expect a married Congressman to have the commonsense not to have his mistress listed amongst his Twitter followers. On the other hand, he is a married Congressman and their track record concerning both discretion and fidelity is not as impressive as one would hope. I suppose I tend to be rather pessimistic about this sort of thing and I do hate to see a prank ruin a man’s political career. On the other hand I am not sure how much further he could be expected to go given his last name. Regardless of his abilities, would a situation ever present itself where a majority of the voting public would feel comfortable electing President Weiner?